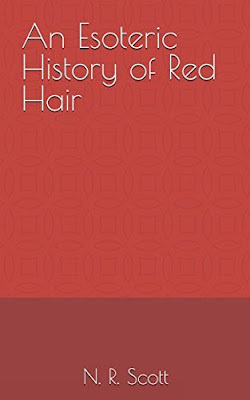 The Myths and History of Red Hair: Orangejews: The Real History of Druids, Jews and Protestantism. Orangejews: The Real History of Druids, Jews and Protestantism. Sorry about the title, I couldn't resist. I've just created a page under the same title on my website. The first new one in a long while. This page is for notes, criticism and comments relating to it. The story of Little Saint Hugh of Lincoln (d. 1255) said that after the boy was dead, his body was removed from the cross and laid on a table. His belly was cut open and his entrails were removed for some occult purpose, such as a divination ritual. [my emphasis]. Of course, the Druids were accused of exactly the same thing. Blood libel/human sacrifice. The Fourth Lateran Council in 1215 was the first to proclaim the requirement for Jews to wear something that distinguished them as Jews (and Muslims the same). It could be a coloured piece of cloth in the shape of a star or circle or square, a Jewish hat (already a distinctive style), or a robe. A man in a pointed hat and robe, decorated with a star, square or circle. It's hard not to think Merlin. Your pastiche of ideas, incidents and suppositions show an exceptional talent for conflation. i encourage you to study rules of logic and history.